In the 1970s, a man passionate about the antibacterial power of Tea Tree Oil, purchased a piece of ideal growing land in northern NSW and began his dream of establishing a medicinal Tea Tree plantation. 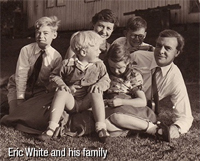 His name was Eric White. It took Eric four years to get a crown lease. When it finally arrived, via the once-a-week mail, on a Thursday in 1976, Thursday Plantation was born. When his health failed, Eric’s step-son Christopher Dean and his wife Lynda stepped in and have upheld his legacy by expanding Thursday Plantation to bring the natural health and beauty benefits of tea tree oils to consumers throughout Australia and the world. 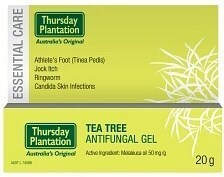 Thursday Plantation brings top quality Australian Tea Tree Oil to the world. Established in 1976, the company has long been dedicated to planting Tea-tree in Bungawalbyn, NSW and manufacturing products from its wonder oil. 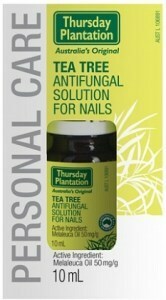 Today Thursday Plantation is now a part of Integria Healthcare ( an Australian leader in natural care ), but the the original manufacturing plant in Ballina remains.